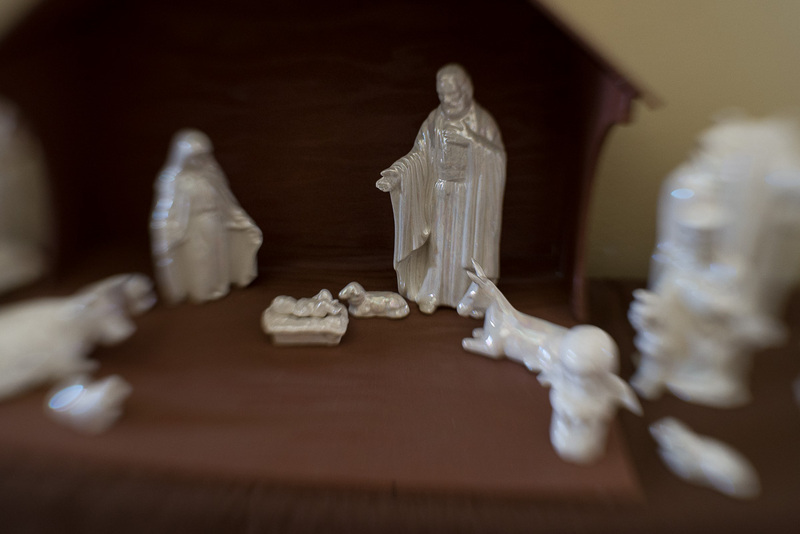 As Christmas approaches, we read again the timeless story of the Son of God’s entry into our world. It is amazing to me what we are told, and also what we’re not told. For example, consider Joseph, the man chosen by God to be the earthly father of Jesus. What do we really know about him anyway? Does Scripture tell us about Joseph’s faithful Temple attendance? Does the Gospel of Matthew record his impressive knowledge of the Law and the Prophets? Did Luke bother to mention how often he fasted or how much tithes and offerings he gave? While these are all wonderful attributes that I expect were fully on display in Joseph’s life, curiously, God didn’t let us in on any of this information. You would think the Lord might want to highlight some of the traits about Joseph that made God choose him to be the earthly dad of the Savior of the world. Out of everyone else, why was Joseph favored with this most monumental assignment? What qualified him for such an important calling? Incredibly, out of all the things God didn’t feel necessary to mention in Scripture, there is one thing He did tell us about Joseph. And He stated it not once. Not twice. Not three times. Four times God revealed one fascinating quality Joseph possessed. Joseph was encouraged by an angel in a dream to take Mary as his wife (Matthew 1:20-25). Joseph was instructed by an angel in a dream to move to Egypt (Matthew 2:13-15). Joseph was directed by an angel in a dream to return to Israel (Matthew 2:19-21). Joseph was warned by God in a dream to avoid Judea (Matthew 2:22-23). Two significant surprises immediately stand out. Not only do we see God doing all His communicating with Joseph (that Scripture records) through dreams, but He is also delivering those night messages through His servants, the angels (Heb. 1:14). It is so important for us to see that this is how God works – through the medium of dreams and the ministry of angels. The Lord knew that Joseph listened to his dreams and honored angelic messengers. And God trusted Joseph to wake up and act in obedience to the revelation downloaded to him while he slept at night. As we meditate on these Scriptures, we see God is giving Joseph direction about marrying the mother of Jesus and how to protect baby Jesus from the evil men out to kill Him. Remember that at this point in our historical timeline, Jesus is on His rescue mission from Heaven to save humanity from their sin. Obviously if Jesus dies as a baby, He will never grow up and be able to die on the cross. He will never be raised from the dead. Holy Spirit will never be poured out. Everything hinges on Jesus’ safety in this moment. Knowing that, you would think God might want Joseph awake when He provides these critical strategies for avoiding Herod and his murderers. Or, at the very least you would think God might want to speak to Joseph personally, since the stakes were so high. Instead God chose to use dreams and angels to deliver His messages, and He still does the same with us today. God is the same yesterday, today and forever, and everything He was doing in Scripture He wants to do in our lives as well (Heb. 13:8). The Bible is not a book of old stories; the Bible is meant to be lived. These things were written as examples for us to model (1 Cor. 10:11). We can be confident about meeting with angels and receiving Heavenly messages while we sleep because Scripture demonstrates this is indeed God’s modus operandi; they have always been a powerful part of His communication with us. The life of Joseph is an extraordinary testament of how the Lord sees dreams and how much He appreciates when His children see them the same way. We can also learn from his example how to partner with the hosts of Heaven in accomplishing Father’s purposes. Through these verses the Bible reveals God’s perspective and His heart: He chooses to use dreams and angels and they are important to Him. Therefore, they are important to us. Because God honors dreams and angels, we choose to honor them as well. May we all be found as faithful as Joseph in receiving God’s messages – and messengers – through our dreams! Our FREE worldwide video event for December is Hearing God Through Your Dreams. Discover the meaning hidden in ALL your dreams… even the crazy ones! Learn to honor these messages from Heaven and become fluent in the language God speaks at night. Anyone can watch the entire video series from December 5-12, so invite your friends and sign up free today! Don’t forget to take advantage of our sitewide Christmas Sale. Just use coupon code CHRISTMAS25 to receive 25% off everything in our store – including already-discounted items like packages, downloads and our brand new USB flash drives. And if you live in the Western New York area, I’ll be ministering at What’s the Point? Ministries in Lewiston this Thursday, December 6th at 7:00pm, as well as i61 Church in East Aurora this Sunday, December 9th at 10:00am and we’d love to see you there.